It’s been a quiet year or so here on the blog after we announced we were writing a backyard rink book. Hopefully that’ll pay off soon enough. Just yesterday I received the first version of the book layout in PDF form, and you can see some examples of the layout below. It’s one thing to submit a 20,000-word manuscript and upload a bunch of photos to Dropbox, and it’s another thing entirely to see someone take that and turn it into something that resembles a book. WE NEED A TON MORE PHOTOS, AND WE NEED THEM YESTERDAY BY FRIDAY, AUGUST 7TH! Many of you will be excited to see your photos make the cut, but there were a large number of photos that couldn’t be used because (a) the resolution wasn’t high enough or (b) the images weren’t good enough to be printed in a book. Now we’re not looking for Ansel Adams here, but these need to be quality photos suitable for print. In other words, if they’re from your cell phone camera, they’ll likely be rejected. A filesize of greater than 1mb is a minimum. 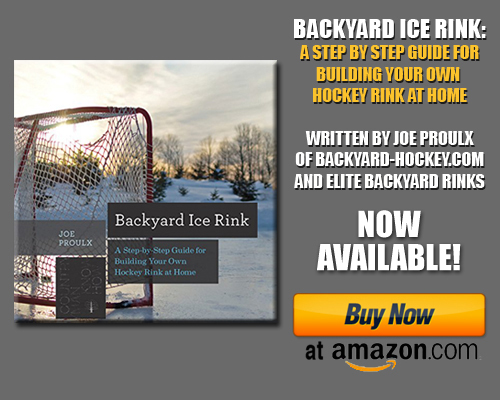 1 – Compose an email to joe@backyard-hockey.com. 2 – Put the hashtag #rinkbookparttwo in the subject line. “I give permission for Joe Proulx, Backyard-Hockey.com, and Countryman Press to use the attached photos in an upcoming backyard rink book. I am the sole owner of the attached photos, and I understand that I am due no compensation for the use of the attached photos.” (Sorry, I hate the legal stuff too). I really hope this book becomes not only a resource for new rinkbuilders, but a celebration of our community, the hard work you’ve put into your rink, and the memories you’ve made on them. Stay tuned for more book info as we get closer to the early November launch! ← Get Your Rink Pictures Into Our Book!